Welcome to Gallium, the racing school designed for console and PC racers like you. 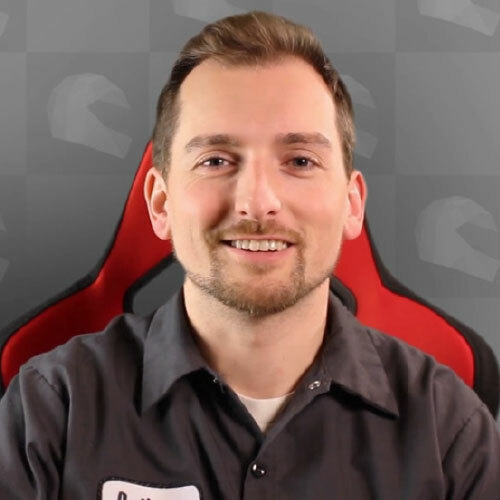 My name is Anthony and I want to help you drive faster in your favorite racing sims like Forza Motorsport and Project CARS. As far back as Sony’s first Gran Turismo I considered myself a decent racer. I did well enough to beat my buddies, but once everything went online I was far from the top racers. Clearly I was missing information that others knew. And that didn’t sit well. So I went through everything I could find on racing, tested it and saw huge improvements in my times and understanding. Now it’s easy to set a top 1% time in Forza. The biggest problem with learning how to go fast is all the good information is stuck in old books and old formats, or buried by bad advice on forums and YouTube. These racing secrets needed to be shared with others in a simpler, easier and more affordable way. 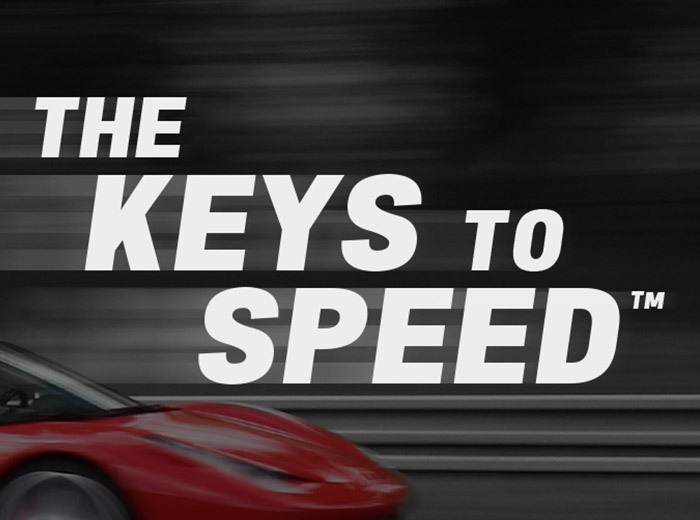 And so The Keys to Speed program and the Gallium website were born. Now you can get the best racing lessons all in one place, and all tailored to virtual racing. The flagship training program here at Gallium Racing School giving you a clear, modern explanation of racing fundamentals. 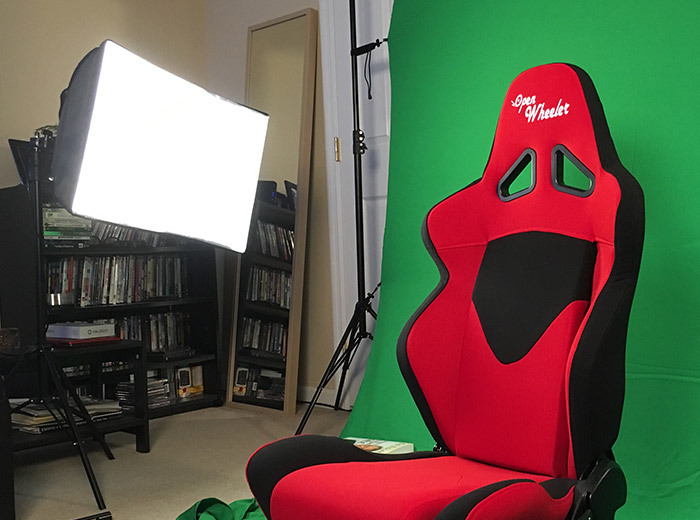 A behind-the-scenes look at the “studio” during the filming of The Keys to Speed lessons. 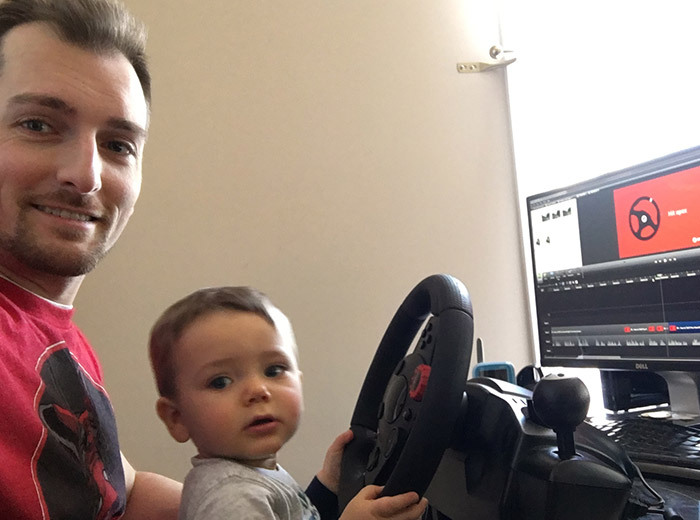 Here we are editing some of the video lessons. I wanted the explanations to be so clear a baby could follow along. Since early 2016 over 1,200 students have joined our classes. The first step I recommend is to sign up below for my mini-course on the 3 foundations of faster lap times. These will be emails you actually want to read! Then from there I can give you some more information on the different courses we offer and let you know when new articles are posted. Learn the 3 foundations of faster laps. This free mini-course is sent directly to your inbox.